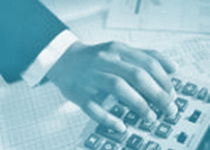 Accountingforu offers small and medium sized businesses, the self-employed and individuals in Surrey, Hampshire and Berkshire a choice of services from which a bespoke package can be provided to cover your accounting and taxation needs. Engaging Accountingforu to provide your financial information and complete the returns to government agencies such as Her Majesty's Revenue and Customs frees you to concentrate on that which you do best, building your business. Please check out Services Provided for a brief description of the range of services on offer. The initial consultation is free, you incur no costs until the details of the service and the fee have been agreed. The fees for service from Accountingforu are generally fixed.For services to be provided over a period of time payment is by standing order, in order to spread the cost. Contact us now by email or telephone 05602 045312 to see how Accountingforu can lift those tiresome financial tasks from your shoulders and enable you to generate more profitable business. © Trading Style of Trade Transfer Limited 2019.